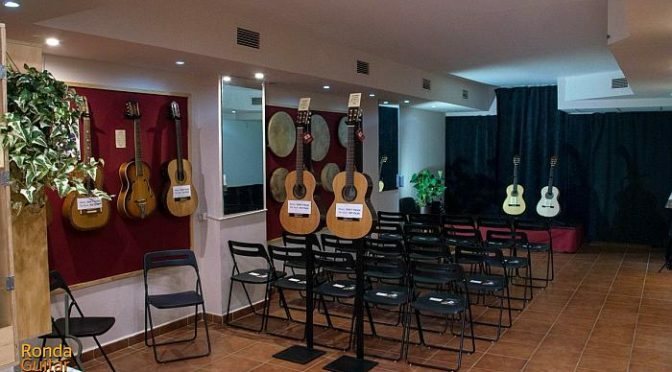 Located halfway between the Bullring and the Church Nuestra Señora de la Merced, RONDA GUITAR HOUSE is a unique space dedicated to Spanish music and in particular the Spanish guitar. The resident guitarist Pacoseco performs two concerts each evening presenting the Spanish guitar in both classical and flamenco styles. There is an exhibition of hand-made guitars and their accompanying accessories(some for sale). Also offered are intensive short courses, weekly and one-off classes in both classical and flamenco guitar, practical advice on technique, posture, and discipline readily available. Also don’t forget to see a concert by Celia Morales. Absolutely fantastic!